How Can I Help My Cat to Understand My Vacation? Mary, it's clear that you care very much for Ms. Kitty. Cats certainly love the people that they're bonded to. Those people give them great comfort, but because of the way cats exist in nature's grand scheme, they derive even more comfort from their territory. Cats are intricately linked to their territory. They even develop systems of time-sharing in order to politely allow their territory to overlap with that of neighboring cats with minimal conflict. These social interactions are complex and slight ripples in the status quo can introduce a good deal of stress to a cat. We tell you all of that to let you know how your absence will be perceived not just as your personal absence, but also as the absence of a big part of Ms. Kitty's territory - your home. Your home has become her safe zone - a place where she needn't worry about predators or other cats. A place where she's cared for. 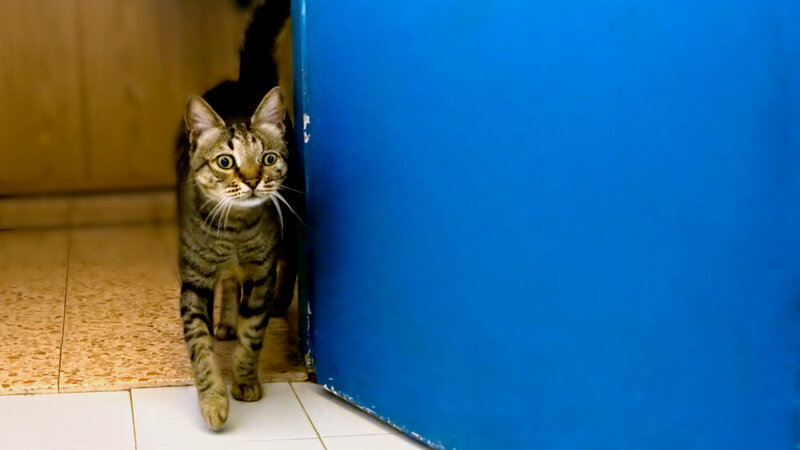 Cats don't understand or like closed doors because they limit their choices. Cats rely on being able to patrol their territory on a very specific schedule. Our suggestion would be to have someone house sit for you while you're gone to maintain Ms. Kitty's access to your home. If not that, at least someone should open the door for her and allow her to check things out inside according to her usual schedule if possible. This visitor should be introduced to Ms. Kitty beforehand so that she knows you approve of this change. A nearby neighbor would be perfect. If this isn't practical, and we do understand how it might not be, you could give Ms. Kitty an outdoor shelter to use as a safe space while you're gone. One can easily be made from a Rubbermaid type of container with a hole cut in one end and some bedding placed inside. The best bedding would be something that you've worn that has your scent on it. That way, Ms. Kitty will still be comforted by you even though you aren't there. It would be even better if she were introduced to this shelter inside your home for the time leading up to your departure. It's important that you explain what's going to happen to Ms. Kitty. While she won't understand all of your words, she'll get the message. 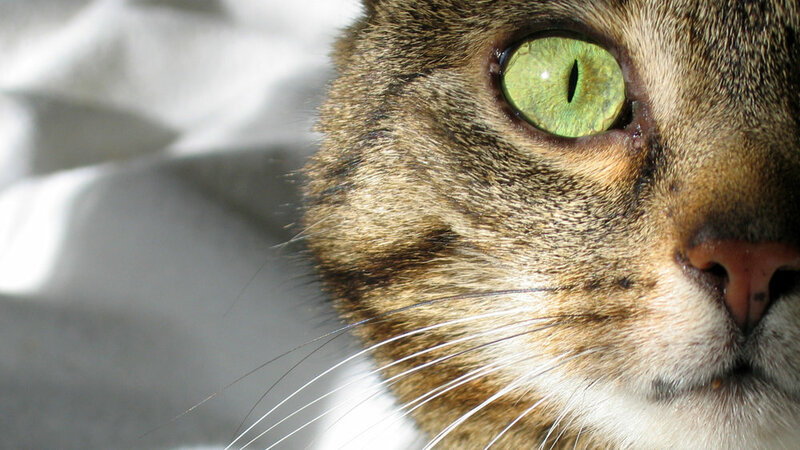 Cats are adept at deciphering our body language and facial expressions. That's how they usually communicate with each other. If you feel silly doing this, just do it when no one else is around. Show her the door and how it locks and then explain to her that you will be back. Make sure you introduce her to the person who will feed her as well. She may not give you her full attention so you may have to remind her as your departure date draws near. I know it sounds funny, but cats are as intelligent as a two year old child. She can understand. The longer you know her, the better she'll come to understand you. When you take responsibility for someone else, especially an animal, it's important that you accept the whole of that responsibility. It sounds like you have, though we doubt the same was true of Ms. Kitty's previous human. We encourage you to make her an indoor-only or indoor-mostly cat. Cats aren't just predators, but prey for larger animals as well. There are also other dangers for them out there in the world, from diseases like FLV that they can pick up from other cats, to the imminent threat of traffic and humans who dislike cats. In the wild, most cats only live for three to five years. Indoor cats often live over 20 years with good nutrition and veterinary care. We'd urge you to take the next step and make sure that Ms. Kitty gets to see a veterinarian at least once a year. If she hasn't been spayed, she needs that done ASAP. Most areas have groups that offer that service at low or no cost.